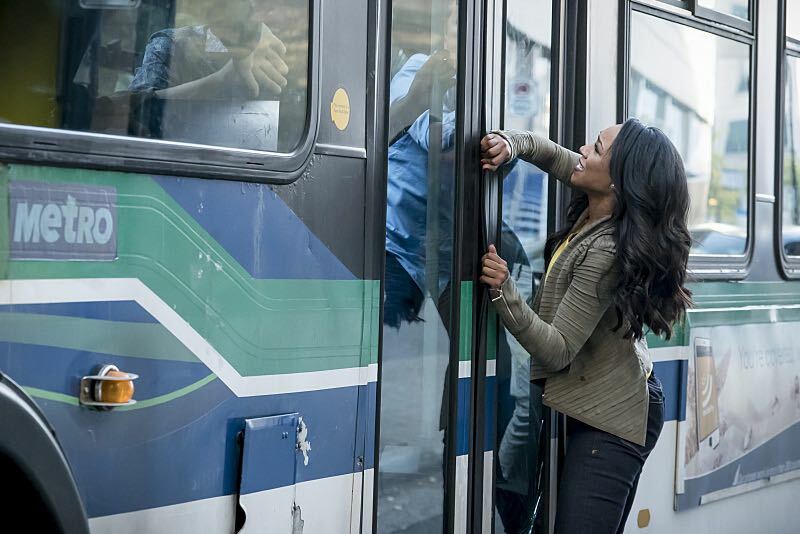 The Flash 3.5: “Monster” Review – Eggplante! This week’s episode of The Flash is somewhat ironically named, since this week’s episode of competing DC Comics series, Lucifer on FOX also aired a new episode with the same title yesterday. Whereas Lucifer dealt with the term in a more metaphorical sense though, The Flash embraced the literal definition, as a huge monster begins rampaging through Central City! Much like this week’s episode of Supergirl, this week’s episode of The Flash had plenty of appealing character work, and gave Tom Felton’s new Julian Albert character his best turn to date, most notably. Also like this week’s episode of Supergirl however, The Flash suffered from a lacklustre villain and a disappointing core plot, which left, “Monster” as a mostly good episode that feels vaguely disappointing, considering its interesting initial hook. Supergirl had the more interesting hook with its alien fight club idea, but The Flash pitting Barry against a bona fide monster, not even a monster-like metahuman such as King Shark, was still a very intriguing prospect. 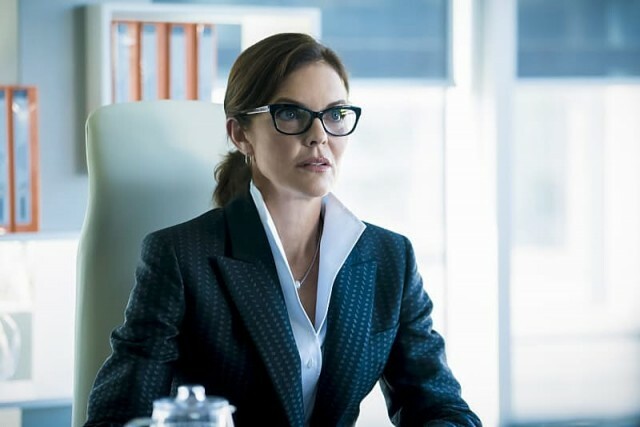 All the while, Caitlin briefly breaks away from the team to go visit her mother, who has her own scientific research firm somewhere outside of Central City. Caitlin makes a big show of revealing her icy abilities to her mother, who decides to get to work on analyzing them, and helping Caitlin develop a cure. One has to wonder why Caitlin couldn’t just develop these tests and research notes herself, but to the show’s credit, it actually does address that. Caitlin eventually breaks down and admits to her mother that the real reason she sought her out was that she was scared, not because she necessarily wanted her mother’s scientific expertise. What was also appreciated about this conflict is that it wasn’t one-sided. Caitlin was also cited as neglecting her mother ever since she took up a position at S.T.A.R. Labs, even though her mother does admit to having trouble being around her daughter, on account of how she reminds her of her late husband, Caitlin’s unnamed father. Caitlin having her own faults in her relationship with her mother felt well fleshed-out and satisfying, which is why it was too bad that this was partially ruined by her mother’s scientist buddy suddenly attacking Caitlin and trying to force her into confinement. For an esteemed scientist, this guy is a pretty massive numbskull, since he just saw Caitlin freeze super-heated tungsten at 2,000 Centigrade not moments before pulling this stupid stunt, but the idea of exploring Caitlin being a slave to her powers, which are starting to give her villainous, violent urges, was an interesting idea on paper. It’s just too bad that the execution was clunky, and Caitlin’s mother suddenly coming to her aid and throwing all of their drama to the wind felt equally rushed and unrealistic. Fortunately, there were other effective character arcs to make up for this. The new Wells, or, “HR” as he wants to be called, was the real standout this week, as Cisco starts to think that something is really off about him. The episode suggesting that this Wells is also a villain with a sinister purpose was very effective, and the way that the show played with viewers’ expectations about the new Wells was actually pretty ingenious. It turns out that this Wells isn’t a villain though, and isn’t even a scientist for that matter! Turns out, he’s a novelist, and something of a con man, and it was his unknown partner that solved the equation that led him to this Earth, not himself. Having this new Wells turn out to be a writer with no scientific knowledge, who came to this Earth to write a new book, was actually a great twist, especially as he still finds a way to be a part of the team, even though Barry’s crew does say that he’ll be ‘deported’ back to his Earth if he doesn’t deliver. On an unrelated note, the jokes about the altered movies on the new Wells’ Earth were very funny too. Like I said, Julian was the other surprising standout this week, as Barry tries to do his best to forge a friendship with him, eventually betting his lab on getting the chance to work with Julian. This is somewhat for personal gain, as Barry wants to exploit Julian’s methods and resources to get more info on the invading monster, but when The Flash prevents Julian from making a big mistake in shooting the true perpetrator of events, Julian confesses to Barry that his hatred of metahumans comes from them being the one thing he can’t understand. Julian outlining that he comes from a wealthy family in England, and that he ran away to Central City to break out of the stuffy traditions of his roots and embrace science, was the most illuminating and interesting that the character has been yet. The episode ending with Barry and Julian going for a drink together also presented a healthy degree of hope that these two CSI’s could indeed be friends, and maybe Julian won’t be so much of an obstacle for Barry at CCPD going forward. Maybe. At the very least, Julian admits to no longer hating The Flash, so that’s a start. Like I said though, this week’s villain was a real bust, being even worse than just another throwaway metahuman-of-the-week. Turns out, the monster was a hologram put together by a 15-year-old kid who was being bullied, and wanted to somehow get back at his bullies by terrorizing all of Central City. Uh, what? First of all, how is that going to help this kid’s situation at all? Even by the standards of adolescent impulse, this is a stupid plan. Second, where in blue hell did this kid get ahold of impossible, super-potent hologram technology that he’s running from a laptop? 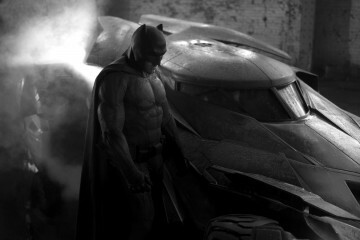 Even by the standards of the DC Universe, that makes no sense. Finally, why in the name of blazes would Julian ever see this snot-nosed twerp as a threat that he ever needed to fire a gun on? Like Barry says beforehand, CSI’s shouldn’t even be carrying guns anyway! Is Julian really going to risk losing his job, and everything he’s worked for in Central City, just because he really doesn’t like metahumans? Even that idea doesn’t work, since this kid clearly isn’t a metahuman. This was just a dumb, poorly executed villain twist all around, especially considering that The Flash is one of The CW’s best shows overall on most weeks. Again, like the stumbles that this week’s episode of Supergirl sometimes tripped over yesterday, The Flash made up for its villain failings this week with more solid character work at least. 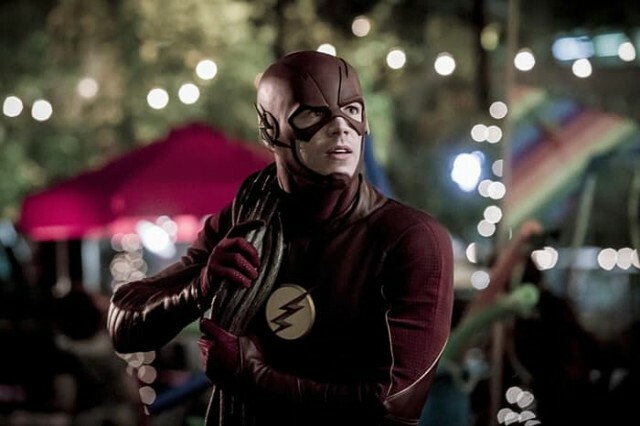 “Monster” was a bit uneven in some places, but the way that it developed the new Wells and Julian was pretty great, and even Caitlin’s scenes with her mother were mostly good, beyond her mother’s idiot partner that thought it was a good idea to try and kidnap Killer Frost of all people! I wish that the show had delivered an episode a bit better than this, considering that the series is taking next week off, but at least Barry and Julian mending fences is a decent start to something better. Maybe Alchemy should come back next episode though. Clearly, our villains just aren’t measuring up without him. The Flash was tripped up by a very problematic villain this week, but still offered strong character arcs for Julian, Caitlin and the new Wells most notably. Seriously, why would you try to kidnap Killer Frost? !